A rather unusual type of mass religious rite took place 30 June in the U.S. city of Salt Lake City. 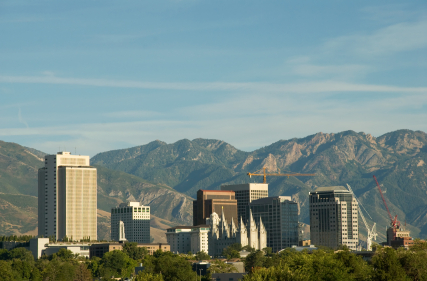 In a bold show of resistance to the authority of one of Protestant Christianity’s most secretive denominations, a group of about one hundred and fifty people renounced their membership in the Church of Latter-Day Saints, known for its emphasis on unquestioning loyalty and obedience. The ceremony was motivated by many of the same reasons others choose to become a minister in online churches like the ULC Monastery— a disenchantment with conventional religion. The ceremony’s participants, who hailed from Utah, Arizona, Idaho, and other parts of the Great Basin, gathered in a public park to sign what they called a “Declaration of Independence from Mormonism.” In an ironic twist, after the party they trekked a half mile up nearby Ensign Peak to the same spot where, in 1847, church president Brigham Young scanned the horizon for a location to build a city for his Latter Day Saints. There, they gave three shouts of “Freedom,” clapped, cheered, and hugged one another. So, how might this sort of demonstration remind people why they become ordained in online churches? Those who leave the Mormon Church do so largely for doctrinal reasons. For many of those gathered at the declaration ceremony, the church’s political opposition to gay marriage, its resistance to scientific findings which conflict with church teachings, and doctrines perceived as sexist or racist are what drove them away. 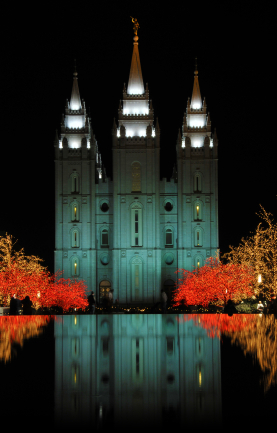 Others have expressed frustration over the church’s inconsistent treatment of its own history, including polygamy, which it officially banned in the late nineteenth century when Utah sought statehood. It is a familiar story to many who decided to become a minister and join an online church, thereby giving themselves the opportunity to treat conventional religion with a critical eye. It is for this reason that we cannot single out Mormonism–many religions operate on the principle of securing power by controlling people through the common denominator of fixed, unwavering dogma. Some, for instance, become ordained online to escape the heavy-handed hierarchy of the Roman Catholic Church, which teaches that the laity can access divine truth only through consultation with a priest, and that church leaders alone have the right and the power to determine this truth. Others choose to become a minister in an online church out of dissatisfaction with evangelical Protestant denominations, which treat the Bible as the sole, immutable source of divine wisdom. And, of course, opposition to the rights of women and gays has driven away many parishioners. The “Declaration of Independence from Mormonism” is a bold move on the part of its supporters, who are attempting to break away from a highly centralized institution, but the Church of Latter-Day Saints is only one of myriad examples of religious hegemony. ULC ministers come from many different backgrounds and join the ULC for similar reasons; many are fledgling apostates disabused with organized religion in general. Perhaps our readers have their own specific reasons for leaving the church of their childhood. We would like to hear the story behind your decision to become ordained in the ULC Monastery. What does conventional religion lack in your view, and how has joining an online ministry furthered your spiritual journey?